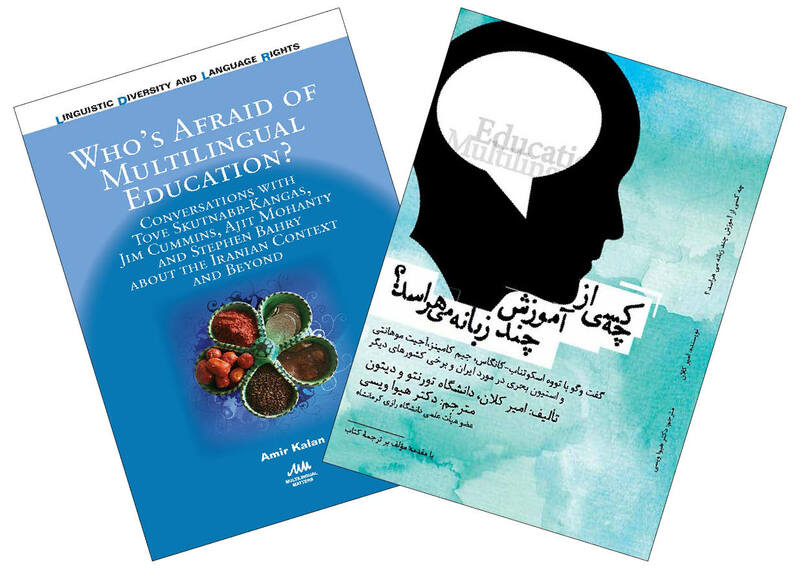 This month we are publishing Who’s Afraid of Multilingual Education? by Amir Kalan which explores multilingual education in Iran through a series of conversations with leading multilingualism scholars. In this post, Amir explains why the language situation in Iran is so unique. More than 70 languages are spoken in today’s Iran, yet by law all school textbooks are written in Farsi (Persian). Farsi is also the only language of instruction throughout the country, even in non-Persian areas with vibrant linguistic lives and solid cultural identities. My new book, Who is Afraid of Multilingual Education?, tries to discover how ideological discourses in Iran have allowed the dominance of monolingual schools despite empirical evidence that advocates otherwise. 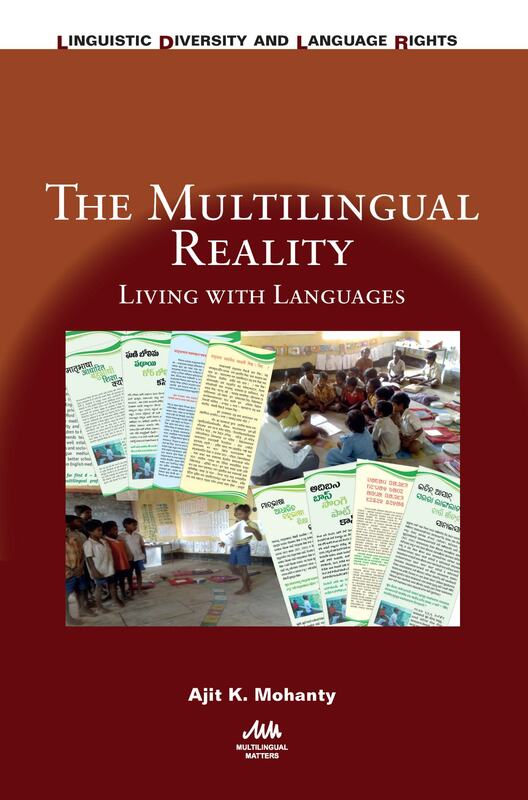 The book examines arguments that doubt the effectiveness of mother tongue-based multilingual education in Iran and, through conversations with four respected international scholars, it compares the Iranian situation with global experiences with challenges of establishing multilingual educational systems that regard students’ plurilingualism as a valuable resource rather than an obstacle. A focus on multilingualism in the Iranian context is worthwhile due to a number of reasons. Despite the current official systematic resistance against the demands of Iranian ethnic minorities for classroom instruction in students’ mother tongues (which has left Iran well behind India and even China, Iran’s civilizational cousins) Iran has a long history of multiculturalism and multilingualism. Diversity has always been an integral part of social life in the Iranian Plateau since the very beginnings of the formation of greater Iran (through Iranian empires) up to the contemporary Iranian society. On the other hand, minoritized Iranian populations – to the best of our knowledge – have not experienced the violence similar to what has been imposed on minority cultures in the West through colonialism and imperialism, such as attempts to eradicate aboriginal cultures and racial segregation in education systems. Up until the early 20th century, when the Iranian government of the time imported Western educational models along with European nation state ideologies, Iranian languages organically mingled and interacted in learning centers as well as everyday social interactions. Who is Afraid of Multilingual Education? asks what discourses advocating mother tongue-based multilingual educational have rendered a heresy over the past 100 years in Iran despite the multilingual fabric of the country. Tove Skutnabb-Kangas, Jim Cummins, Ajit Mohanty and Stephen Bahry critique these discourses in the book drawing upon examples of the experiences of minoritized students in different parts of the world. The arguments against mother tongue-based multilingual education discussed in this book include nationalistic one-language-one-nation discourses that deem the dominance of a single language a necessary factor in creating a national identity; political visions that advocate that imposing one single language on minorities would empower them by providing them the ability to communicate and to trade their skills and products in larger markets and thus “succeed” in life; linguistic theories that attempt to prove some languages are naturally wired to be superior to other languages and thus are to be shared by all the members of society regardless of their linguistic backgrounds; economic speculations proposing that mother tongue-based multilingual education is an appealing and perhaps moral idea but too expensive to put into practice; and finally, post-colonial and anti-imperial anxieties that help the state treat legitimate demands for receiving education in the medium of students’ mother tongues as separatist desires. Unfortunately, empirical evidence supporting the benefits of multilingual education for students and society at large is often comfortably ignored by politicians and mainstream media. Traditional academic publications also often fail to find their way out of closed professional circles and remain unread by the public, typically fed by more popular but less accurate forms of dissemination such as TV shows and mainstream news websites. As a result, Who is Afraid of Multilingual Education? reviews the issues that the international language research community has struggled with in a more accessible interview format. Hopefully, the inter­views offered in this book and the analyses that follow them can open new horizons in the mother tongue debate in Iran, establish better communication between Iranian and international educators, and contribute to the ongoing conversation about multilingualism in the inter­national research community. For further information about this book please see our website. For other books in our Linguistic Diversity and Language Rights series take a look at the series page on our website. 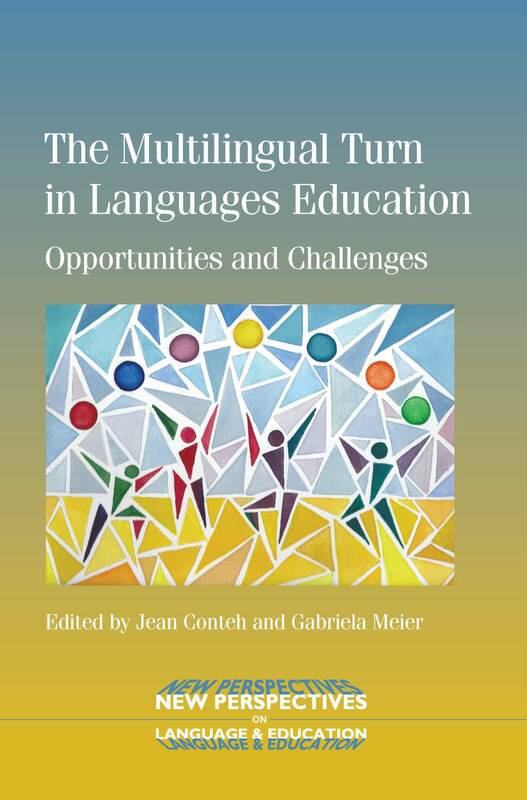 Jean Conteh and Gabriela Meier’s book The Multilingual Turn in Languages Education is out this month. They have written this post about how the book came together and the importance of multilingual education. The origins of this book emerged about 3 years ago in discussions about the different ways in which multilingualism was being talked about, not just in research, but in the lived experiences of people around the world. As editors, we both noticed that there was increasing interest in multilingualism in education – we refer to this new trend as the multilingual turn in languages education. We use languages in the plural to show that we are thinking about individuals’ whole language repertoires as resources for teaching and learning, not just the ‘target language’ of teaching. Our new book offers an invitation, including some guidelines and ideas, for teachers, researchers and policymakers to consider multilingualism in a new light as a key item on their agenda. The ideas underpinning the book began to be discussed around 20-30 years ago, when some authors started to recognise that monolingual language practices in schools can disadvantage many learners. During that period, Multilingual Matters was founded in 1976 and has since played an important role in influencing and shaping what people in their different spheres, including ourselves, talk about and what they deem important, i.e. what goes on the agenda. While the multilingual turn offers many opportunities, there are, of course, still many challenges before ideas can be put into practice in classrooms. As we and the authors in this book suggest, there are many positive ways in which this can happen. The opportunities and challenges are explored in the three parts of our book by taking into account the multiple layers of society, policy and classroom practice – all embedded in and informed by research. First, in part one, we consider prevailing ideologies and language hierarchies, for instance about which languages have status and are therefore seen as useful, which languages are ignored and why and what the implications may be for individuals and groups. 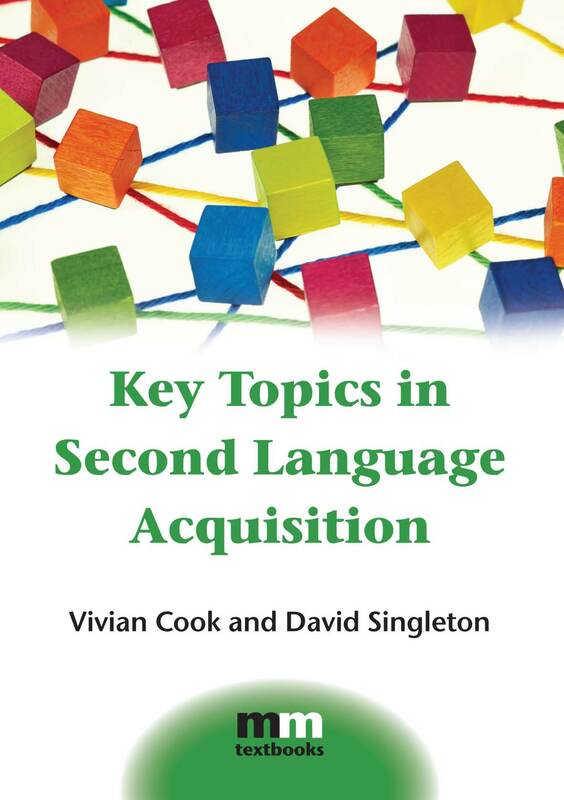 Then, through the chapters in part two, we argue the need for a theoretical basis for multilingual approaches to education. 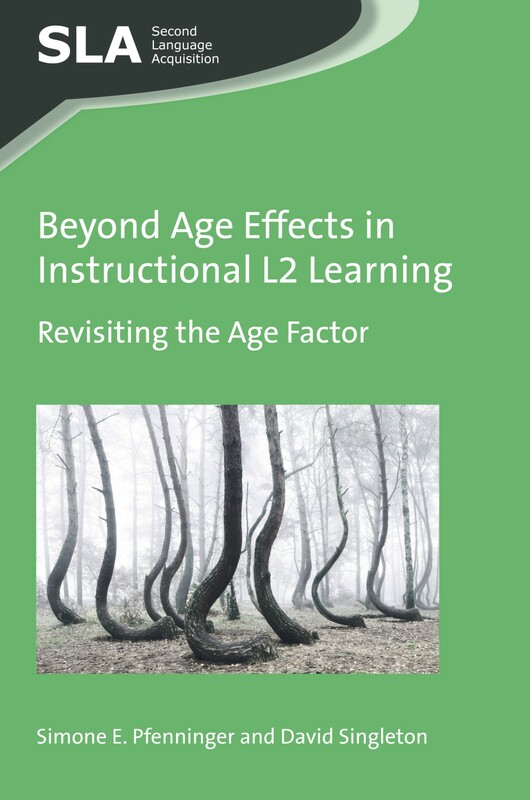 Finally, in part three, we show, through presenting different examples of innovative classroom practice, how educators in every situation need to find their own ways of taking account of their local circumstances and their learners’ resources. 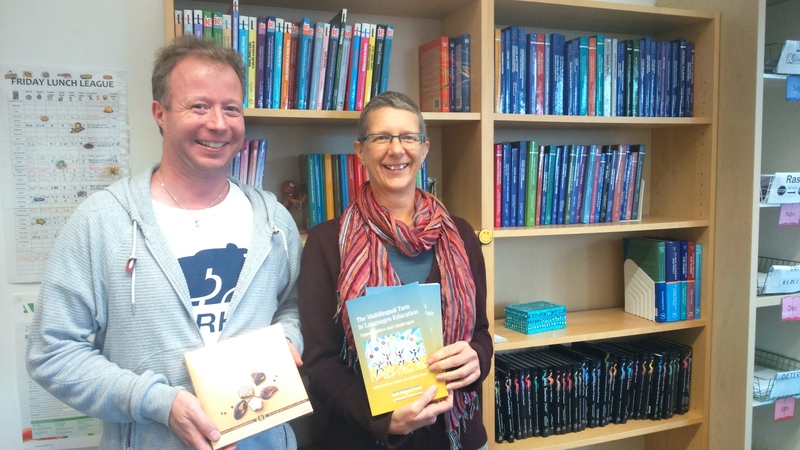 We are very grateful to Multilingual Matters, and Viv Edwards (see her recent blog post here) for supporting our book project. It was a pleasure working with you all! Furthermore, we were very lucky to find authors working across the world (Australia, Greek-Cyprus, Mauritius, China, France, Germany, USA, Switzerland, UK and Europe more generally) who embraced the idea of the multilingual turn. Their contributions present research from very varied teaching contexts and cover TESOL, EAL, SLA, MFL and two-way bilingual immersion. Thanks to you all, we were even able keep to our initial timetable! Many thanks again to all at Multilingual Matters, all our authors and everyone who contributed to this book. We hope that through this book some ideas may make it from the agenda into practice. 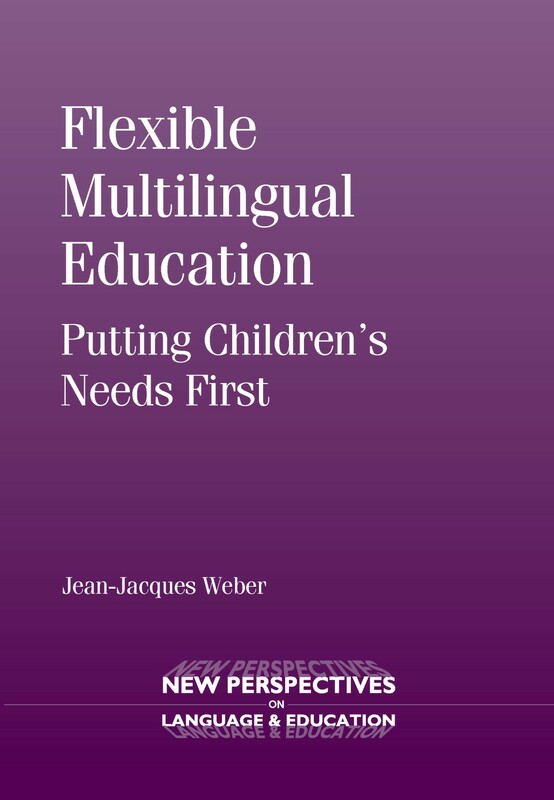 Jean-Jacques Weber, author of Flexible Multilingual Education (published this month), discusses why a flexible multilingual education system is the best option for multilingual children in Luxembourg. Mother tongue education is often advocated as the ideal system of education for all children in our late-modern, globalized world. However, this blog post provides a critique of mother tongue education, arguing that it is not always the panacea it is frequently made out to be. This is also the theme of my new book, Flexible Multilingual Education, where I criticize mother tongue education programmes for being too rigidly fixed upon a particular language (the ‘mother tongue’), and explore more flexible and more child-focused forms of multilingual education. For example, a flexible alternative which would have a better chance of moving policy towards social justice and educational equity would be the establishment of literacy bridges. I have used this concept in relation to the education system of trilingual Luxembourg, where large numbers of Romance languages speaking children are forced to go through a German-language literacy programme. Indeed, in the Luxembourgish school system, it has been a long tradition that Luxembourgish – a Germanic language – is used in pre-school education, while basic literacy skills are taught via standard German. Yet the school population has changed dramatically over the last few decades, with children who speak Romance languages at home often forming the majority in today’s primary classrooms, especially in Luxembourg city. My ethnographic work with these youngsters has shown that it would be counter-productive to call for education in the standard variety of the assumed ‘mother tongue’ of each child, irrespective of the question whether the children actually master this particular variety or not. On the contrary, it would be much more productive to look for the ‘common linguistic denominator’ of children whose home linguistic resources may well include varieties of French, Portuguese, Cape Verdean Creole, Italian, Spanish, Romanian, etc. and, in this particular case, set up a French medium of instruction option as an alternative to the existing German one. The French medium of instruction option would make sense within the Luxembourgish context, as French is one of the officially recognized languages and a widely used lingua franca in the country. For the Romance languages speaking children, it would act as a literacy bridge providing a link with, and building upon, their actual linguistic repertoires. In my book, I explore numerous other case studies from around the world and show that such flexible and child-centred multilingual education programmes would be preferable to mother tongue education, in that they would allow a full acknowledgement of the hybrid and transnational linguistic repertoires that people actually deploy in our late-modern, superdiverse societies. Jean-Jacques Weber is based at the University of Luxembourg and his latest book is available here. BAAL has started a new initiative to send study materials to African colleagues. Due to currency differentials it is very difficult to keep up with progress in academic fields in Africa. The materials will assist research, and postgraduate and undergraduate teaching. Multilingual education is the norm in Sub-Saharan African countries, but even primary education is rarely spoken of as ‘multilingual’, or even bilingual, because the goal of the curriculum is usually for learners to gain competence in the ex-colonial language – English, French or Portuguese – as soon as possible. Research into African languages in Sub-Saharan Africa continues to be very limited. Without research into sociolinguistic contexts, local language acquisition, development of mother tongue literacy and communication skills, and education through the mother tongues, any efforts to develop multilingual education are working under a blindfold. Universities have the essential capacity – committed researchers who are native speakers of African languages – but they lack a history of research into local language development and education, and the material resources to carry out it out. 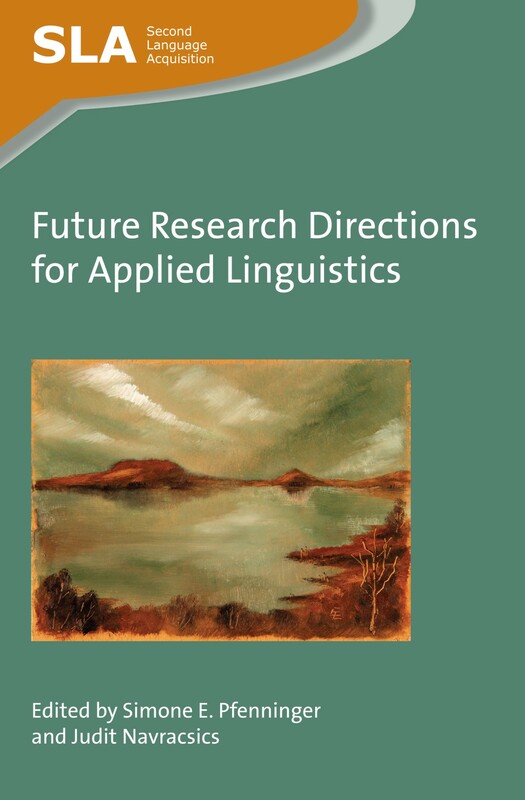 Language and linguistics books written from an English language perspective are therefore still essential, but it is our aim to promote research grounded in local contexts, and reduce this dependency. Up-to-date books on the teaching and learning of English as an additional language are equally needed. However, the contexts for using and learning English are very different from the USA, Canada, UK and other European countries where most of the research into EAL is carried out. Research into African varieties of educated English – especially oral language, the foundation of literacy – also needs support, as do translation studies, as the bridge to language development. I am so pleased to learn of such a brilliant initiative and most of all, appreciate the fact that the books will be state of the art books….This initiative comes in very timely and if my institution is to benefit from it, it will really be great as my department has launched a new Masters Degree in Applied Linguistics this year. This is challenging considering the urgent need for an up to date bibliography…. At the same time as inviting direct requests, we are collecting books from individuals and publishers that are relevant. We have had some wonderful donations of current publications, as well as some older books that lecturers in the UK are happy to use as course readings. We then sort these to match them as closely to the needs as possible, and post them out. BAAL has generously provided a sum to cover the postage costs for at least a year. The ideal is a book that really hits the mark – the effect can be wonderful – but the person in Africa with limited access to the internet, no means of travel, no internationally valid credit card, and living in a country that any on-line company refuses to post to, may hardly be aware it exists. This is the conundrum. Multilingual Matters has so far been unique amongst publishers in responding to specific requests with titles from their catalogue. If we can raise awareness of research into Multilingual Education – in whatever context – we may provide inspiration and a guide to research aims and methods. 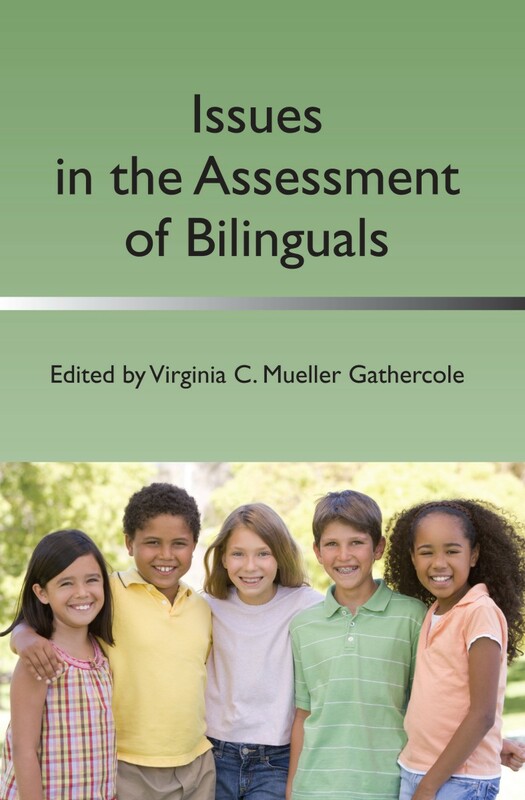 This month we are publishing Issues in the Assessment of Bilinguals and Solutions for the Assessment of Bilinguals by Virginia C. Mueller Gathercole. Here, her former colleague Colin Baker writes about why the books are so important to the field. Ginny Gathercole has the well earned reputation as an outstanding researcher on language. Meticulous as a top academic, she has gained considerable applause on both side of the Atlantic for innovative and creative research and writing that pushes forward boundaries by a large leap rather than a short jump. 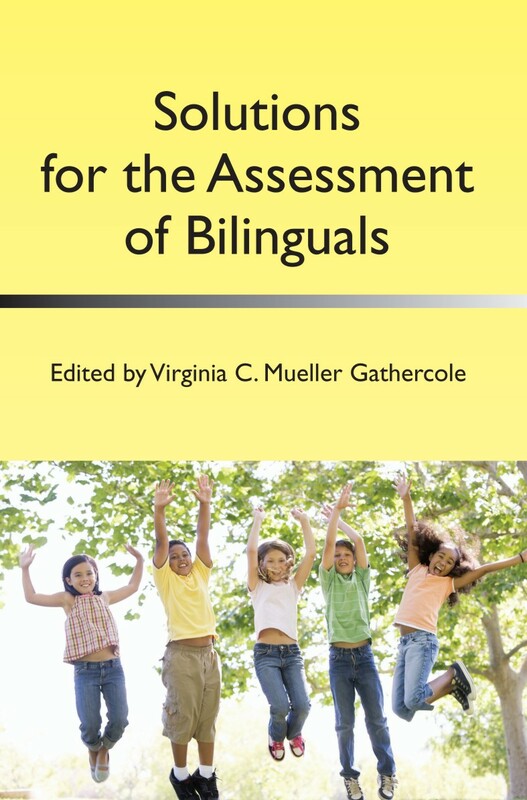 As editor of these two books, she has gathered an outstanding set of chapters, meticulously compiled, and created two books that will transform our understanding of the assessment of bilinguals and multilinguals. These books on assessment are sorely needed. There is a dearth of authoritative books on the assessment of bilinguals and multilinguals, and the two books uniquely help fill the enormous gap in our knowledge. This topic is complex as it includes children and adults with different cognitive, academic and socio-economic profiles. Yet the books cover such complexity and variety by both raising the issues, and then suggesting solutions. These two books are likely to become classics in the understanding of assessment in bilinguals and multilinguals. Every library should buy a copy of both books, as they will stand the test of time, place and importance. Both books are available on our website with a special discount of 30%. Click here to find out all the details.